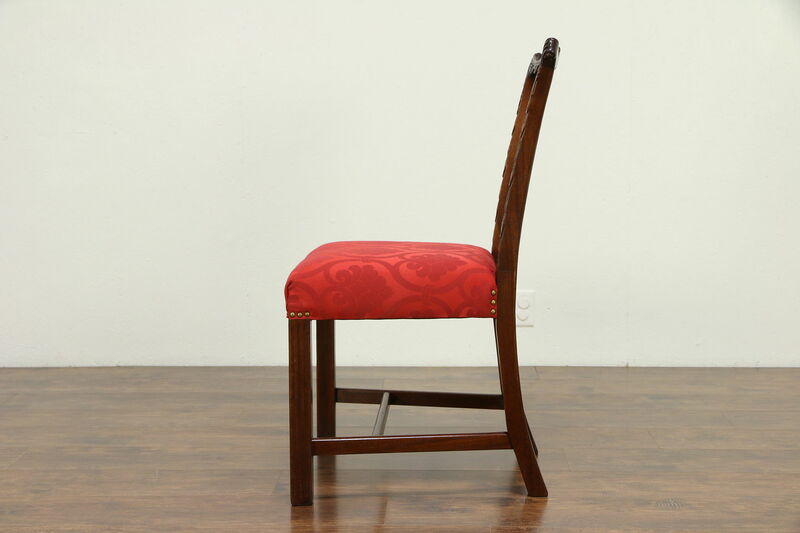 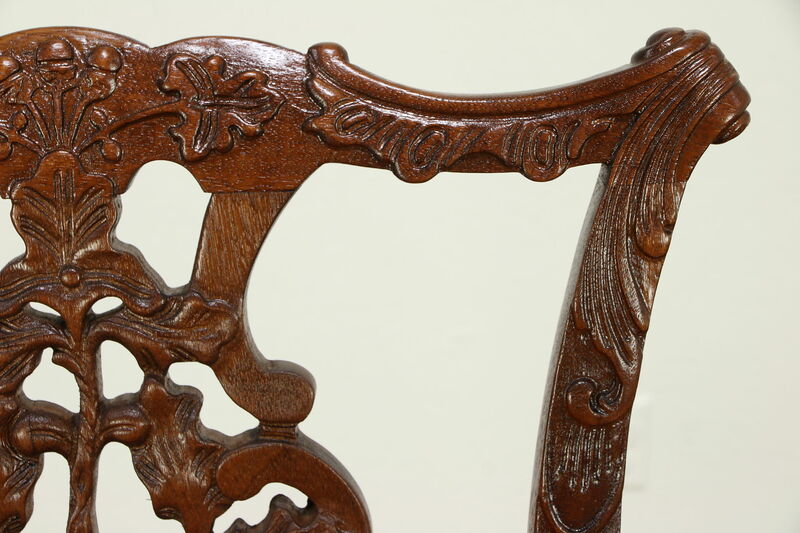 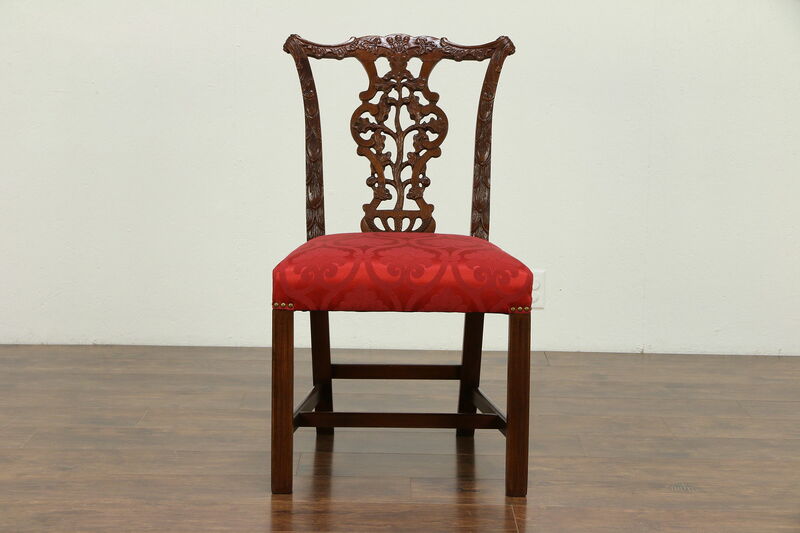 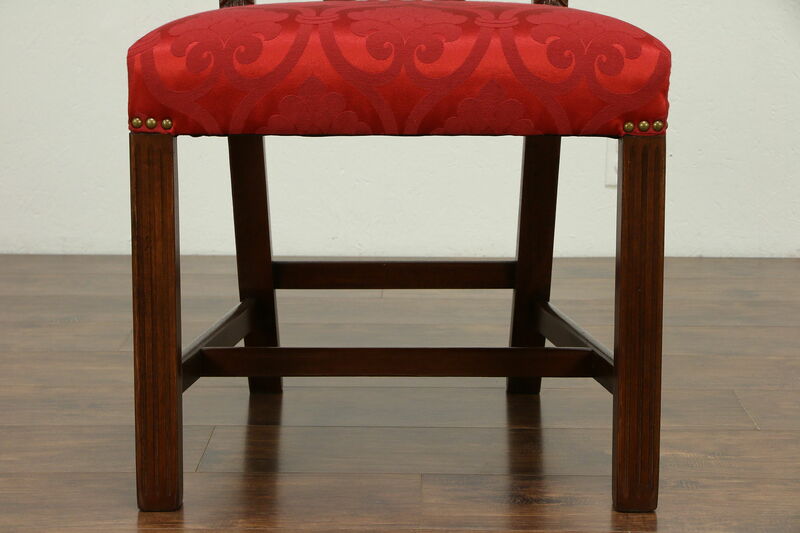 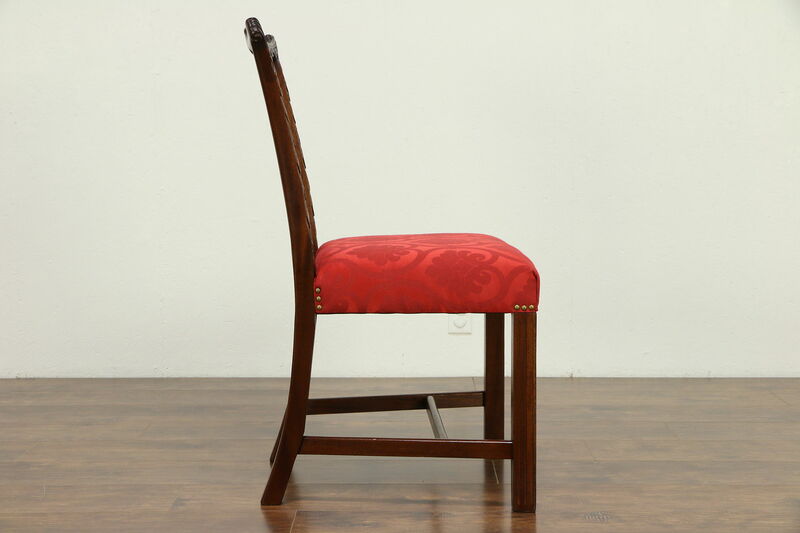 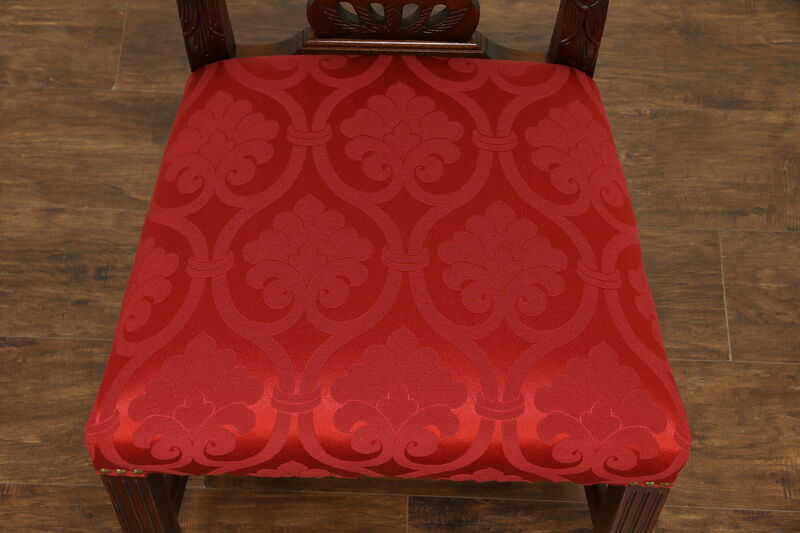 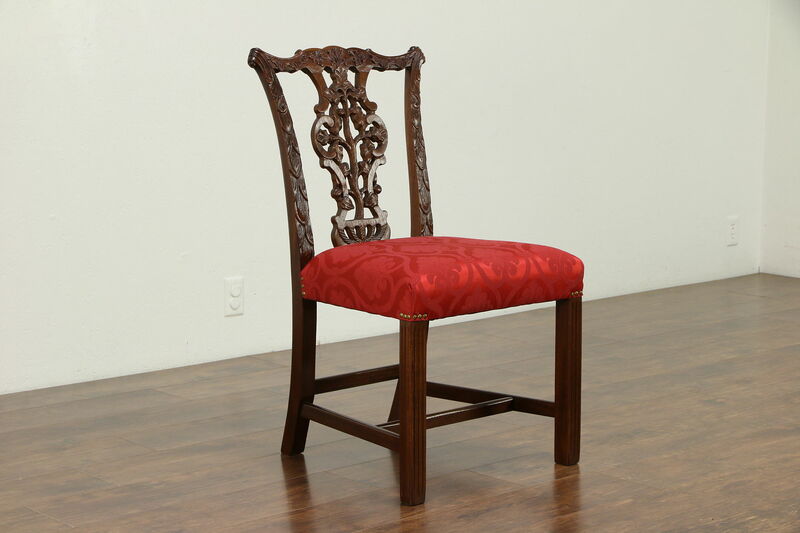 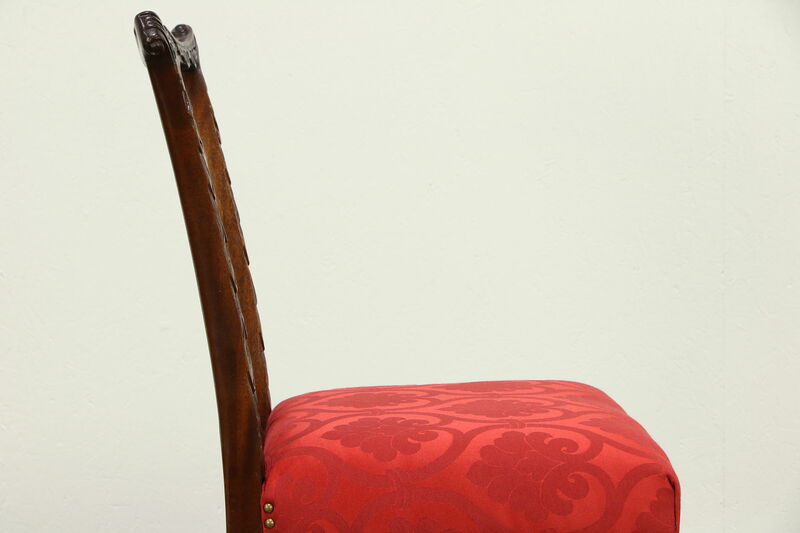 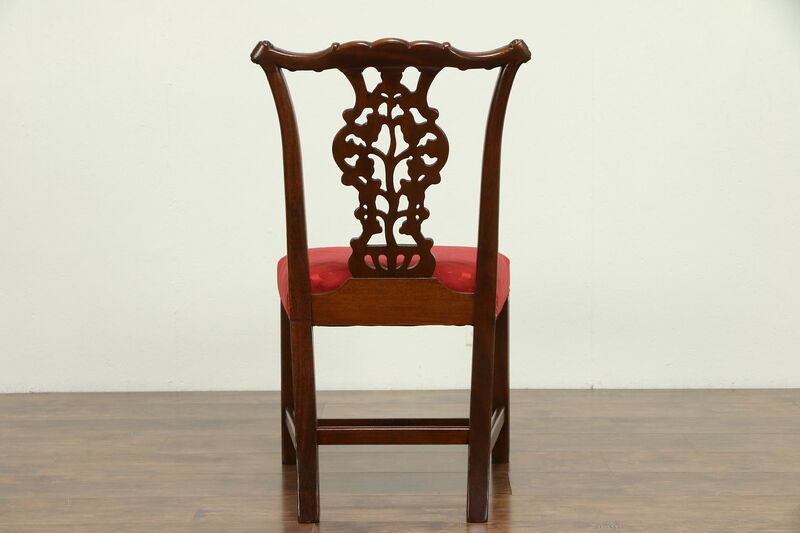 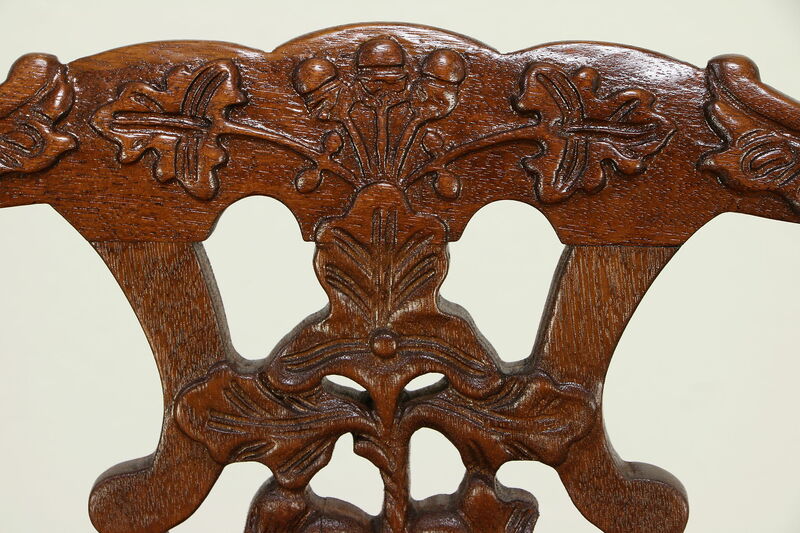 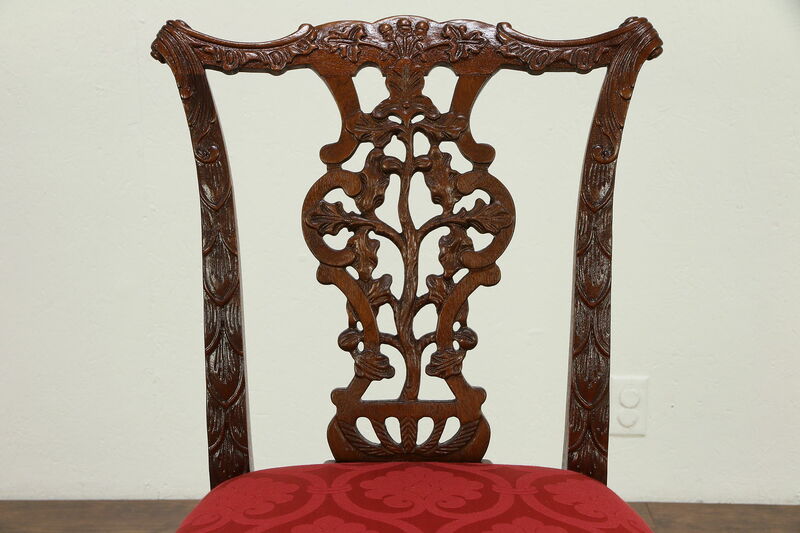 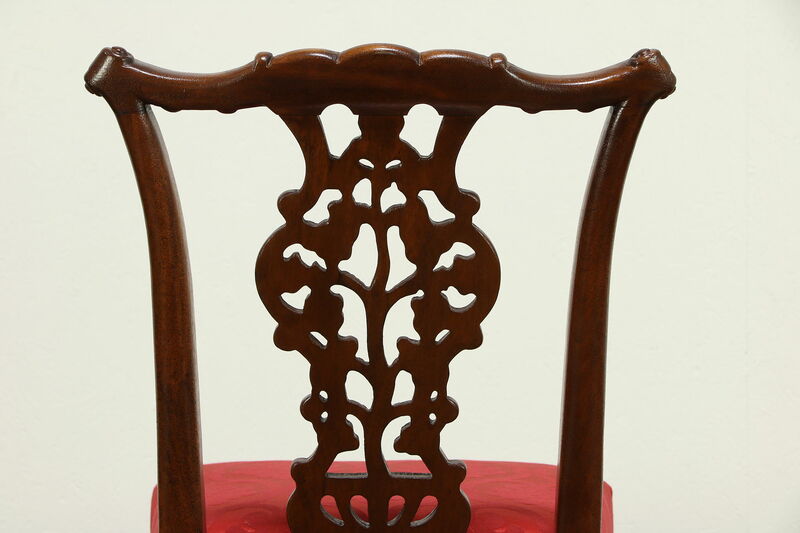 A Georgian Chippendale chair was carved of solid mahogany about 25 years ago, and has been newly upholstered in European fabric with brass nailhead trim. 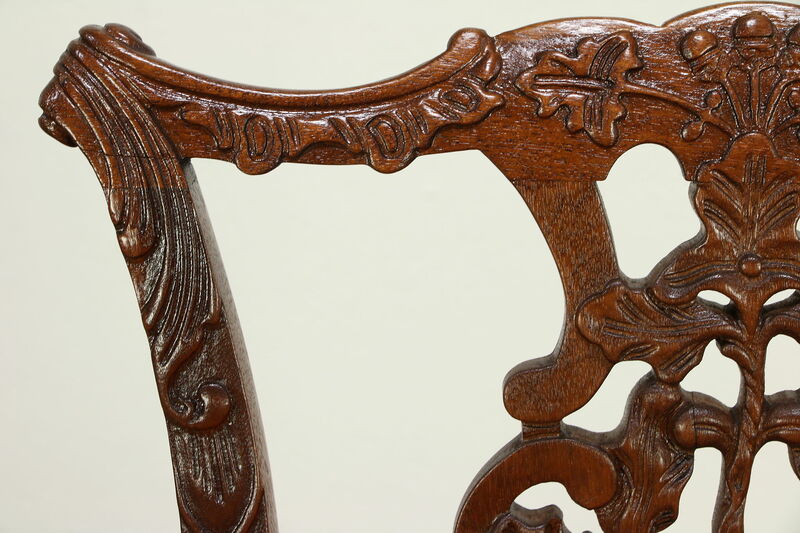 The frame is tight and strong, the restored satiny finish is in excellent condition. 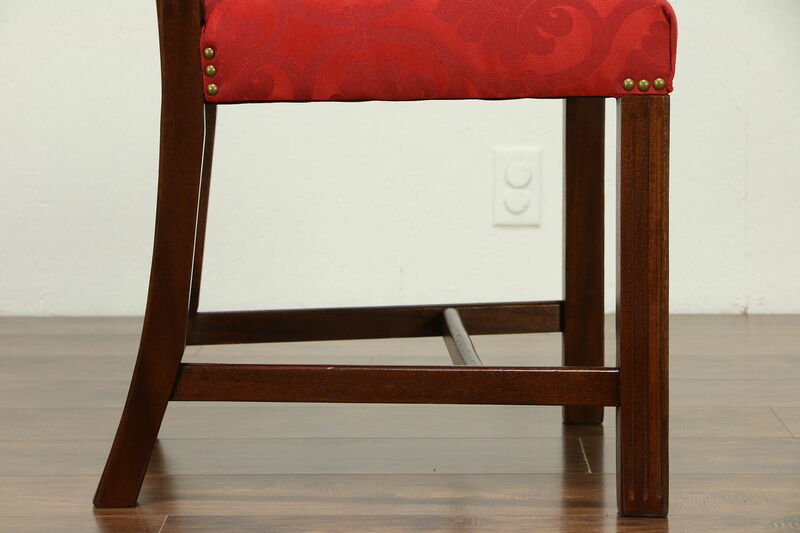 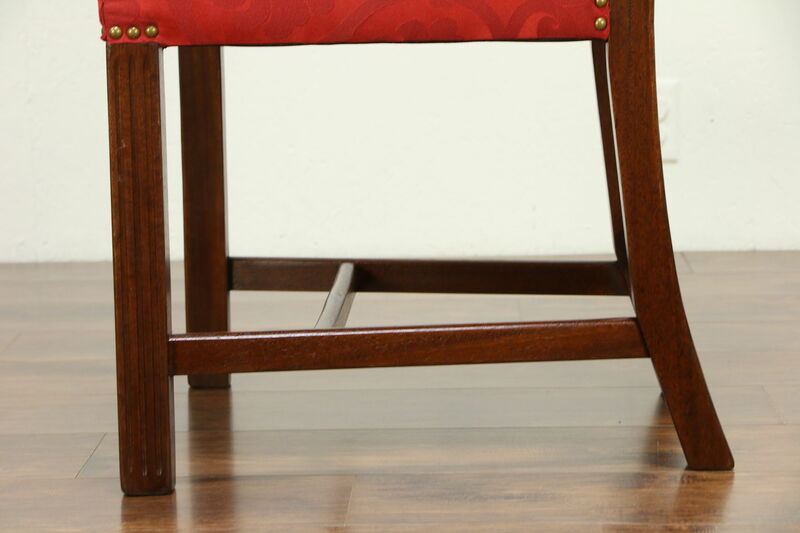 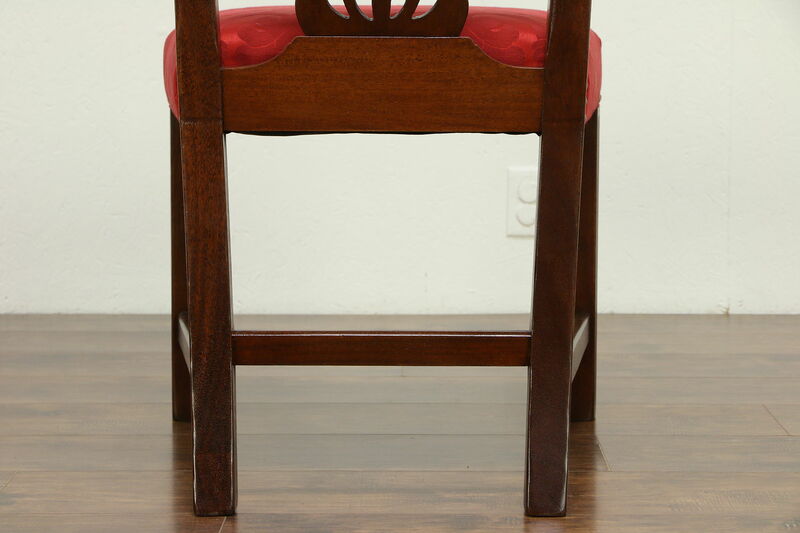 No maker's signature survives on this vintage furniture. 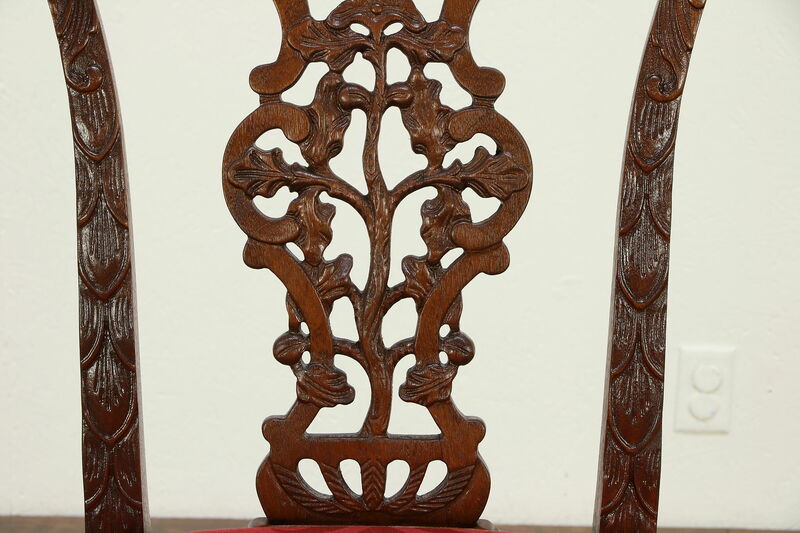 High relief carving and piercing shows exceptional workmanship. 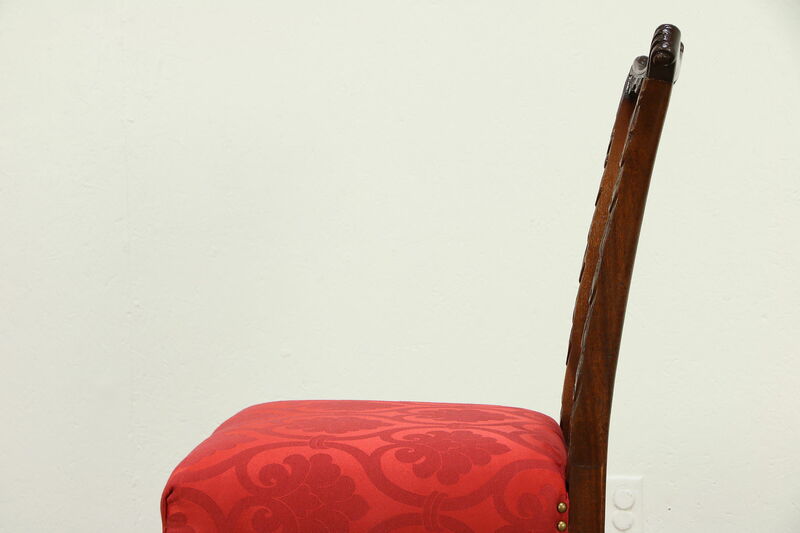 Size is 21" wide, 23" deep, 37" tall and the seat is 19" high and 17" deep.